Being diagnosed with hypothyroidism is definitely an overwhelming experience. Between the numerous diagnostic tests and daily medications, you have to contend with symptoms such as weight issues too. But use of the proper replacement hormones can ward off the symptoms and help you lead a normal life effectively. Synthroid (a levothyroxine brand), and Armour thyroid, which is a NDT (Natural desiccated thyroid), are two commonly prescribed drugs in hypothyroidism. Since these are basically replacements for thyroid hormone they can influence your weight. You may gain or lose weight depending on several factors other than the medication you take. Here are a few considerations and tips on losing weight with Synthroid medication. Studies done on hypothyroid therapy with thyroid hormone substitution reveal that the weight loss found in obese patients was mostly caused by thyrotoxicosis and not due to the medication. 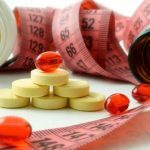 While there are research studies that prove the relationship between hyperthyroid drugs and weight gain, few studies are as conclusive about hypothyroidism and weight gain. Another study on hypothyroid patients revealed that the weight loss registered was mainly due to water loss from the edema a symptom found in hypothyroidism. 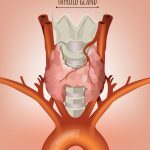 Many studies on the effect of Thyroid stimulating hormone due to weight loss caused by surgical intervention or dietary restriction showed that the levels of TSH was normalized when mildly elevated. Synthroid and other related synthetic and natural thyroid hormones used for treating hypothyroidism act by achieving a normal TSH level which falls within 0.45 to 2.5mlU/L. 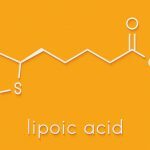 This is the ideal level to keep the hypothyroidism under control and prevent complications such as weight gain. In short, studies on hypothyroid and hyperthyroid conditions reveal that weight loss is very minimal whereas weight gain is present in hyperthyroidism and return of pretreatment weight occurs in hypothyroidism. From the above studies it is clear that thyroid hormones alone are not responsible for controlling weight loss or gain. To ensure Synthroid effectively treats hypothyroidism and also cause weight loss, you need to follow the tips below which help in proper absorption of Synthroid. The medication should be taken first thing after you wake up and take your milk or coffee after an hour. Supplements with calcium or iron should be had only after four hours. 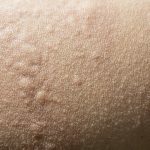 Since Synthroid has lactose and acacia that can cause allergies, you will have to consider other alternatives, if you are sensitive to these ingredients. Similarly if you have digestive problems consider using Tirosint, a liquid form of levothyroxine. Ensure the medication you take is sufficient to resolve the symptoms and return your metabolism to normal level. The TSH level under 2.0 is right for resolution of the symptoms. The effect of Synthroid and other similar levothyroxines differs from person to person. 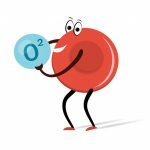 The medication should be converted to T3 (Triiodothyronine) which helps oxygen to reach the cells and make you energetic. But this conversion is not proper in some patients. If this is the situation you face, you are bound to gain weight or will find it difficult to lose your weight. Fatigue, brain fog and hair loss are other symptoms that may occur. To counter these symptoms, you need to add T3 to the levothyroxine. But before you add T3, you should test the level of T3 already present in your body. T3 should be added only if the levels are below normal. Cytomel is a commonly prescribed T3 medication. If the T3 level is normal, you need to check the reverse T3 level. This is an inactive T3 form that can cause weight gain. Addition of T3 will help to bring the T3 levels to normal and assist in resolving the symptoms. NDT is favored in certain specific circumstances. See this article about nature throid for more information. Natural desiccated Thyroid like Armour Thyroid or Nature Throid should be considered, if the Synthroid alone or in combination with T3 does not resolve your symptoms. 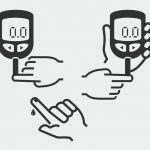 A study published in Journal of Thyroid Research indicates that risk of type II diabetes and high levels of blood sugar is related to hypothyroidism. 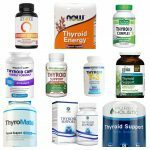 This has to be taken into account when you realize that you are finding it difficult to lose weight with hypothyroid medications like Synthroid. 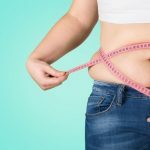 By treating the diabetes and controlling the blood sugar levels with mediation, exercise, and diet you can make the weight loss more effective. While studies indicated there is minimal correlation between Hyperthyroidism medication and weight loss, a study by Dr. McDermott indicates that by treating hypothyroidism, the rate of metabolism is increased resulting in more burning of calories per day. But the study also reveals that overeating will nullify the weight loss. Thus a multipronged approach that includes appropriate thyroid hormone replacements, diet restrictions, exercise and control of other accompanying diseases such as Diabetes is necessary to treat hypothyroidism and limit weight gain or improve weight loss. My weight has stayed the same for the last year, but I now take two size larger in c,clothes why is this?